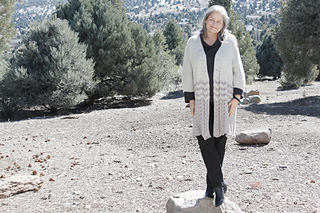 A Verb for Keeping Warm has limited edition Morinne sweater kits available now! 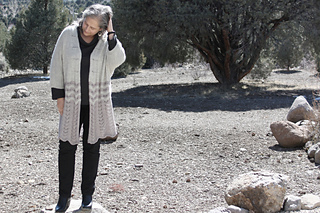 This oversized sweater is a fantastic transition piece for spring and fall seasons. 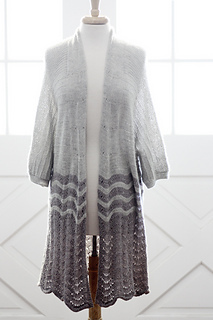 Knit up in deliciously soft Floating from A Verb for Keeping Warm, it feels like a big hug! 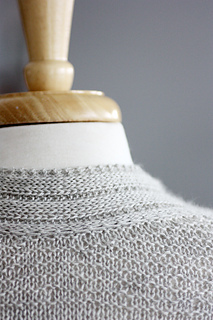 The sweater is knit in one piece from a provisional cast-on at the upper back. 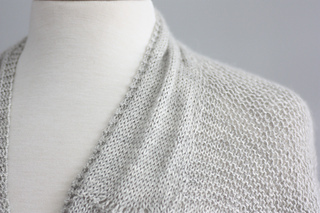 The neck and shoulders are shaped with short rows, and the neckband is knitted onto the live stitches at the back neck and continued down the front. 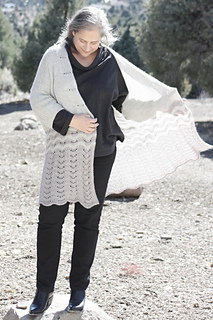 The lace is a super simple feather and fan pattern. 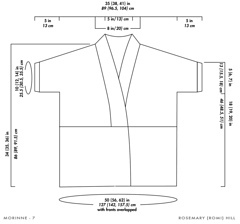 The sweater pattern is entirely written with the option to use small, one-line charts for the strips of lace. Medium size is pictured on the model.